The government of Tanzania is threatening an organization that released research findings of the president’s popularity fast dropping. 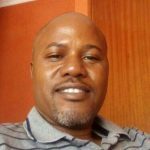 TWAWEZA, a non-governmental organization that has been doing the same task since 2012 without any molestation, recently released data showing President John Magufuli’s popularity plummeting from 96 percent in 2016 to 55 percent in 2018. It provoked the wrath of authorities that are all out to protect the populist leader’s approval ratings. According to existing records, 55 percent is the lowest any Tanzanian president has ever scored. 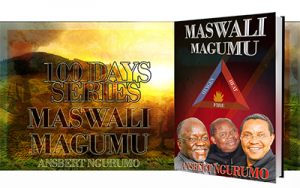 Last year, President Magufuli scored 71 percent but there was no much hullabaloo. 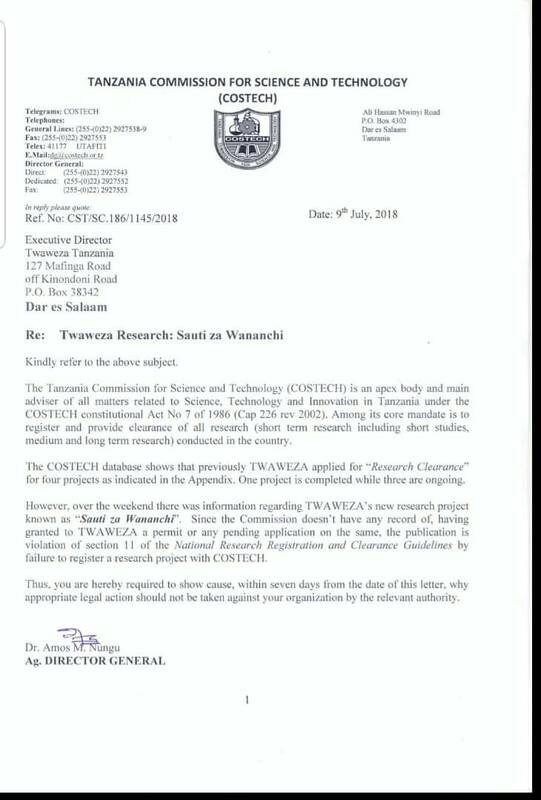 This time the government is responding with a strict approach through the Tanzania Commission for Science and Technology (COSTECH) whose mandate includes registering and providing clearance for researches conducted in Tanzania. He says his office is not aware of TWAWEZA’s recent study known as “Sauti za Wananchi” (citizens’ voices). Anastazia Rugaba, TWAWEZA Advocacy Manager, has confirmed receipt of the letter, noting that her office is working on it. 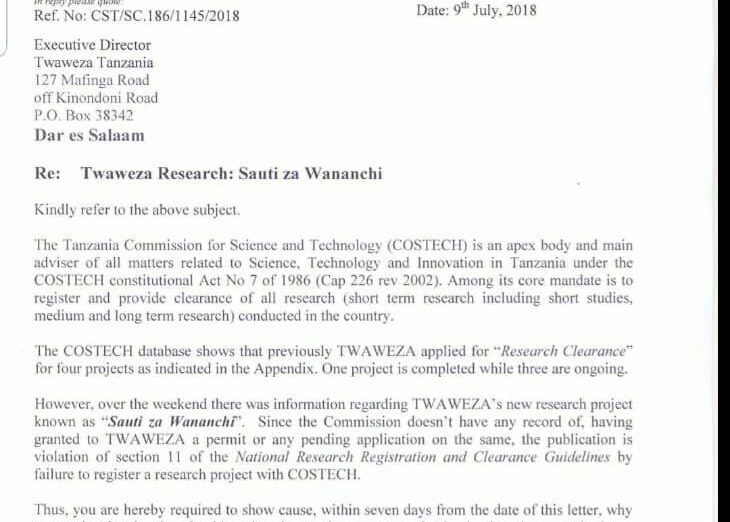 SAUTI KUBWA is attaching COSTECH’s letter. Critics say the government is exhibiting panic due to the president’s low approval ratings, and that it wouldn’t have reacted in the same way had the findings shown the president was very popular.